Let me put your mind at ease—Reddington and Keen join Pop! with the release of 2016 Funko Pop Blacklist vinyl figures. NBC’s crime/action/thriller The Blacklist takes viewers inside the lives of Raymond “Red” Reddington and Elizabeth “Liz” Keen after Red mysteriously surrenders himself to the FBI. Three-time Primetime Emmy Award winner James Spader portrays Red Reddington (what a great criminal name! ), a former U.S. government agent who once worked in counterintelligence then became one of the FBI’s Ten Most Wanted Fugitives. Keen, portrayed Megan Boone (My Bloody Valentine, Step Up Revolution), is a rookie criminal profiler for the FBI and is the only person Reddington will work with to bring down the world’s most dangerous criminals. Numbered as part of the Pop! 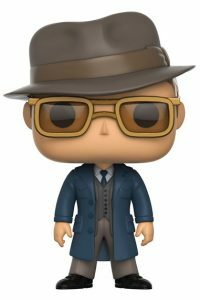 Television, Funko Pop Blacklist offers two vinyl figures for fans to collect. 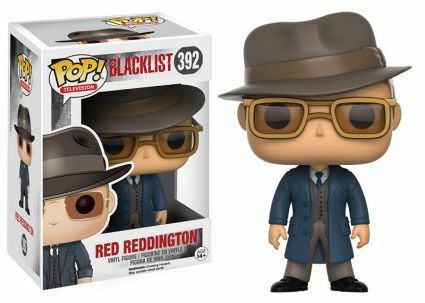 Standing approximately 3 3/4” tall, the Red Reddington figure perfectly depicts his small-screen counterpart. From head to toe, Red is dressed in his signature attire which includes a fedora, polarized sunglasses, and three-piece suit along with his blue Loro Piana coat and Italian loafers. Even though FBI agents choose functionality over glamor, Elizabeth Keen is posed in a gray pantsuit wearing her badge and holding her bureau-issued service pistol. Funko Pop! 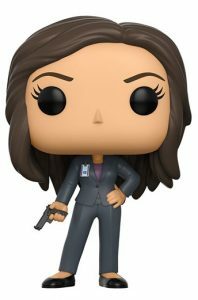 Television Blacklist Elizabeth Keen #393 Vinyl Figure WITH PROTECTOR! Funko Pop Television Doctor Who 12th Doctor SDCC Exclusive!! !